You’ve Almost Named That My American Girl! WOW! I am SO shocked that this happened, but we have a 3 way TIE!! The last day to vote is Friday the 21st. I can’t wait to see who will win! 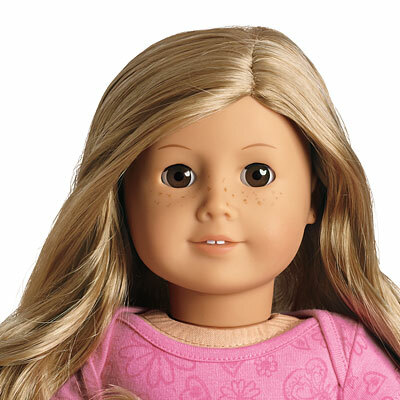 35 Responses to You’ve Almost Named That My American Girl! She….is…definitely…a…..JESSICA! I imagined her in a stop-motion, with her hair in a high pony-tail, and Jessica hit me. Yes-sir-ee Jessica’s the perfect name for that cutie. Again, I like Jessica for this doll. http://www.thedazzlingdollies.wordpress.com. Thank you so much!!!!! Awwwww, thank you so much!!!!!! I like Courtney! Will you do a video of all your dolls? From the first to the newest? How many do you have? Wow, all of those names are good for her, but I think I’ll go with Cassandra! I would say Courtney. She looks just like my friend with that name! I prob think Courtney is a great name!